Future Flu vaccines will be manufactured from llama antibodies. Yes, llama antibodies. The llama is long-necked South American animal related to the camel but smaller and without a hump. They are used especially in the Andes as a pack animal and as a source of wool. Researchers are now making great progress toward developing better vaccines to reduce the risk of getting the flu. One current project is developing a ‘gene mist’ nose spray that is manufactured from a llama’s antibodies. Influenza (flu) is a contagious respiratory illness caused by influenza viruses. It can cause mild to severe illness. Serious outcomes of flu infection can result in hospitalization or death. Some people, such as seniors, young children, and people with certain health conditions, are at high risk of serious flu complications. Future Flu Vaccines: Why The Llama, Phase 1? 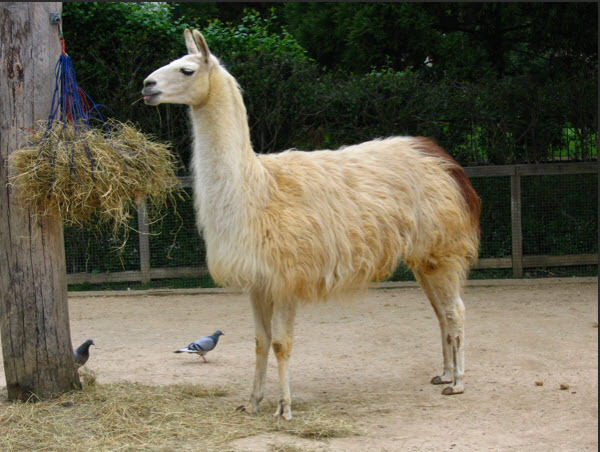 The llama is similar to humans and many animals that produce immune molecules, called antibodies. These are produced in the blood in response to exposure to viruses and foreign substances. Since the llama antibodies are smaller in size compared to humans, researchers speculate that they may be more effective in attacking a wide range of flu viruses. Interest and research began 25 years ago in Europe and focused on developing new vaccines. A recent study, funded by the National Institute of Health (NIH) injected llamas with a flu shot containing 3 different flu viruses. In addition, two additional viruses, Type A and Type B flu were added. The immunized llamas produced 4 different types of antibodies that were successful in protecting against a wide range of flu viruses. The next step was to find out how and why these llama derived antibodies worked. Researchers used X-ray crystallography and cryo-electron microscopy to analyze the antibodies structure and found that they attacked the engine of the virus. This is significant as the engine that drives the flu virus stays constant, even if the strains may change from year to year. Next, the scientists combined the 4 antibodies into a four-in-one antibody and unleashed them against dozens of various A and B flu viruses, including several strains of avian (bird) flu. Bird flu in humans is deadly. Next, the 4-in-one antibody was directly injected into the bloodstreams of mice. The antibody treatment completely protected the mice against many influenza viruses that otherwise would have been deadly. Encouraged by the effectiveness of the 4-in-1 antibody llama flu vaccine, researchers tried a different delivery method. A bioengineered gene containing the four-in-one antibody, was inserted into a harmless virus. This virus was then sprayed into the noses of mice, entered their respiratory tracts, and became activated. One week later, mice were exposed to aerosol sprays of several lethal influenza viruses. None of the exposed mice came down with the flu. Researchers are therefore hopeful that this gene-mist delivery system for humans will provide excellent protection against multiple flu strains. Much research is still necessary, namely the mists’ effectiveness and safety. If this gene-mist therapy is successful, it will be a boon for senior citizens with weak immune systems. It will also help seniors and other age groups whose immune systems struggle to produce anti-bodies. The rapid protection of the gene-mist therapy suggests that it can be very effective against a flu pandemic. In the meantime, the best way to protect yourself and your family is to get your annual flu shot. Don’t procrastinate, the flu season has started.